Gastric Mind BandGastric Mind Band BlogBlogHow Does Hypnosis Maximise Healthy Weight Loss? Trying to lose weight? 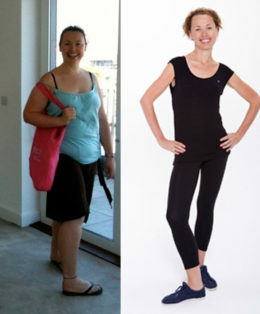 The journey and method you undertake to maximise your weight loss can be daunting and frustrating. However, recent studies have shown that using focussed psychological interventions, dedicated to achieving permanent weight loss, will help to achieve your desired results. At the Elite Clinic where they provide the exclusive Gastric Mind Band weight loss treatment, they are confident after treating over 1,000 clients that have travelled to their clinic from around the world, that CBT underpinned with hypnotherapy weight loss is the best way to permanently lose weight. Martin and Marion Shirran of the Elite Clinic in Spain (whose online platform is GM Band) have conducted lengthy studies and clinical trials to prove that hypnotherapy works. The success of their clinical trials led to the development of their Gastric Mind Band Treatment, which delivers far more than merely placing a virtual band in the minds of individuals with the help of hypnosis. Changes the negative relationship that most people share with food so that cravings and binge eating can be curbed. Provides details of the two weight loss hormones, and explains how you can harness them to assist you. We make use of hypnotherapy weight loss, along with meditation, Pause Button Therapy and CBT therapies to accelerate the process of permanent weight loss. Our weight loss tactics are non-invasive and completely free of any kind of adverse health effects. Also, our Gastric Mind Band treatment can be used by everyone, irrespective of their age, weight and gender. Dieting and exercising often do not produce the desired results, usually because individuals lack the motivation and willpower to see it through. On the other hand, hypnosis for weight loss’s main focus is on reconditioning the mind and strengthening it to fight against temptations. So, we will help you think happy thoughts and make you believe that you need to eat food to live and not live to eat. GM Band offers online Skype-based hypnotherapy weight loss solutions that can be tried from anywhere in the world. We also offer a 1-hour prerecorded hypnotherapy session as a trial to allow you to understand the benefits of hypnosis. Call us!